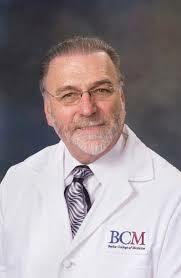 A Sarasota, Florida based hair restoration expert will join several other internationally recognized experts as they convene for an Integrative and Metabolic Medicine Symposium in Miami Beach this weekend. The Fontainebleau Hotel is hosting the educational event from June 5th thru June 7th. The Metabolic Medicine Institute, a medical organization dedicated to promoting health and prevention of disease by educating health professionals, researchers and the public, sponsors the educational conference. MMI provides educational courses through conferences, workshops, online modules, and Fellowships and Certification programs. Dr. Parsa Mohebi received a recommendation from The American Hair Loss Association, whose mission has been to provide resources and support to those who are actively researching effective treatments for those who have hair loss. 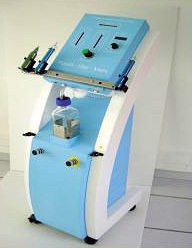 The organization recommended the doctor for his superior technique and accomplishments in the art and science of hair restoration. Dr. Mohebi was humbled by the prestigious organization’s recognition, “I am proud to be among those honored by the recognition of the American Hair Loss Association. My experiences studying the effects of hair loss in men and women have helped me become the physician I am today. I am grateful to those who helped me achieve this dream, from my early mentors to my patients, who continue to amaze me with their gift of appreciation every day.” Dr. Mohebi also thanked his peers, many of whom he met when he was selected for the International Alliance of Hair Restoration Surgeons. 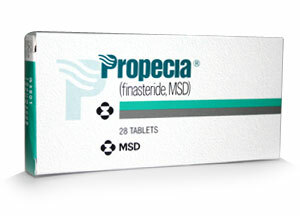 Hair loss in both men and women is rarely met with anything other than stress and frustration. Luckily, the Puig Hair Restoration Center in Houston, Texas has announced new techniques that make Follicular Unit Extraction a great option; thanks to more affordable prices, limited surgery, and faster recovery times. With more than forty years of experience, Dr. Carlos Puig’s first priority is to give his customers exactly what they’re looking for in terms of hair restoration. Follicular Unit Extraction is one of the Puig Hair Restoration Clinic’s most popular choices for hair restoration. Also referred to as FUE, this procedure is the process by which the doctors transfer follicular units, which can sometimes contain more than one hair, from one place of the scalp to another. 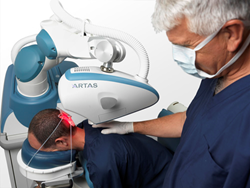 Cosmetic Surgery Associates of New York (www.nycosmeticmd.com), a multi-location plastic surgery practice based in Westchester County, N.Y., has added the NeoGraft system to its lineup of hair restoration options. Instead of using a whole strip of skin and hair, NeoGraft is a follicular unit extraction, or FUE, device that collects donor follicles from an area where there is thick hair growth (usually the back of the head) and transplants them to a spot where hair is thinning. More, more, more… we all want more when it comes to long, thick, flowing hair. Many women use hair extensions to increase the length, fullness and density of their hair. Everywhere you look in movies, magazines and television women are sporting this must-have accessory. The popularity of hair extensions has grown immensely in recent years and is now considered mainstream. 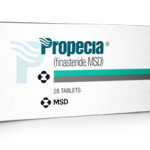 According to the American Academy of Dermatology, hereditary hair loss – or androgenetic alopecia as it is medically referred to – is a condition that affects nearly 80 million men and women. Doctor Parsa Mohebi, founder of US Hair Restoration is offering a variety of novel techniques for those who would like to receive the FUE hair transplantation. Follicular Unit Extraction (FUE) has become the best alternative for patients who would like to receive a hair transplant without the complication of having a linear scar on their scalp. Accents Cosmetic Surgery & Medical Spa is happy to announce that Detroit cosmetic surgeon Dr. Mark Berkowitz has put his money where his mouth is by undergoing the newest and most advanced procedure for hair restoration in Michigan today: NeoGraft! NeoGraft, which is offered in Dr. Berkowitz’s Sterling Heights office, is a type of FUE hair replacement therapy that creates healthy hair grafts by gently removing hair follicles one-by-one. While an increasing number of men are taking advantage of NeoGraft , the latest innovation in hair restoration technology, San Diego triple board-certified plastic surgeon Dr. Richard Chaffoo says many women stand to benefit as well. “Hair loss is more common for women than many people realize,” says Dr. Chaffoo, “and women with thinning hair may have greater motivation to seek treatment. Hair transplants have nearly doubled since 2004, announce the surgeons and staff at the Hair Transplant Institute of Miami. Fueled by celebrity endorsements and new, innovative technologies, surgical hair restoration is enjoying an unprecedented surge in popularity. According to reports issued by the International Society of Hair Restoration Surgery (ISHRS), hair transplant procedures have seen an 85% increase worldwide. Lead surgeons Dr. Paul Rose and Dr. Bernard Nusbaum of the Hair Transplant Institute of Miami attribute the rising popularity to a few key trends. Medical Hair Transplant and Aesthetics (MHTA), is offering an innovative hair restoration procedure for both men and women called Folicular Unit of Extraction (FUE) and Strip harvesting Procedure(FUT). Unlike other hair transplant processes, FUE is less painful and leaves no linear scar. 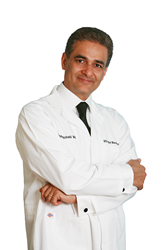 Doctor Parsa Mohebi now offers new state of the art interactive tools for prospective patients that include a new IOS application called Hair Now, and updated methods of attaining patient testimonials, before and after photos, multimedia galleries, and discussion forums in the online world. Hair Now, the innovative simulated reality app, allows patients to preview their potential results before receiving a hair restoration procedure by virtually rendering photorealistic representations of those patients after they select from one of the many sample hairstyles.